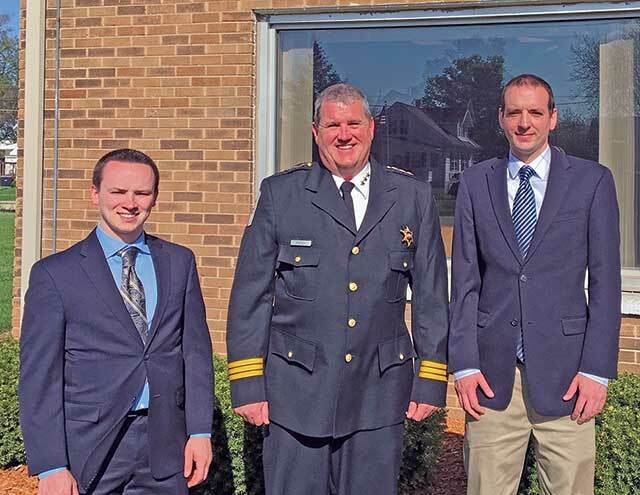 Police Chief Hoey, center, is pictured with South Beloit’s newest police officers May 7. On the left is Officer Cameron Monyelle, on the right is Officer Martin Oswald. Two new police officers were sworn in by City Clerk Tracy Patrick: Cameron Monyelle and Martin Oswald.